I hope your week was good and you’re feeling better now January has come and gone – it’s always the most depressing month of the year! If you’re a regular reader you’ll know I’ve been a lot more interested in budget beauty recently. The brand Makeup Revolution have been a massive hit with me and I spotted a product from Barry M that seemed right up my street. Realising I’d never tried anything from them before and the product being pretty cheap, I decided to treat myself. So of course Superdrug had a 3 for 2 offer on just Barry M products and I couldn’t resist. 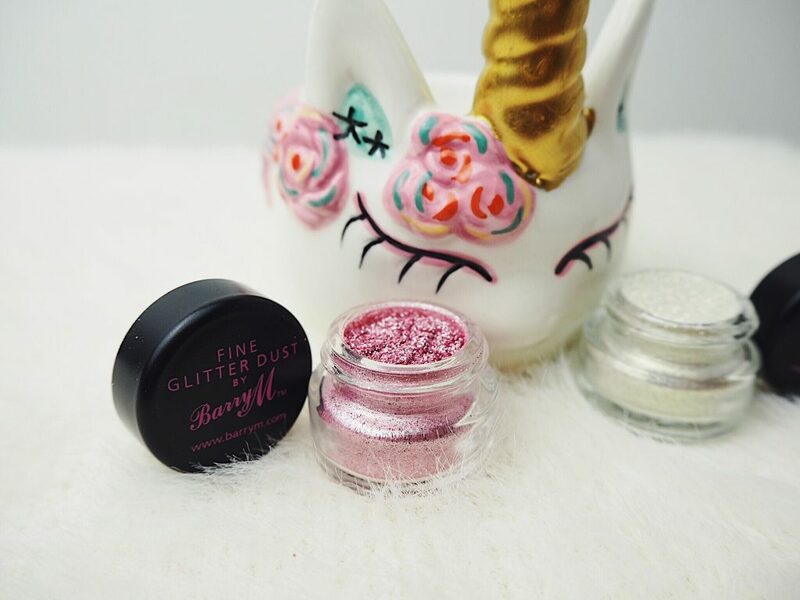 The original product I wanted to try was the Fine Glitter Dust in “Pink“. I’ve heard really good things about their dazzle dust too but as I have enough basic eyeshadows, I decided to go for the Fine Glitter Dust in “Gold Iridescent” too. Last but not least, I’ve never actually tried a liquid highlighter and after seeing so much buzz around them, I think it’s about time I did! I picked up their Liquid Chrome Highlighter Drops in the shade “Precious Pearl”. I’ve got to admit, the reason I’ve never tried Barry M before is that I always sort of saw it as a bit of brand for the younger ages. I’m not entirely sure why, possibly the logo or the way it’s been marketed has led me to subconsciously feel this way. Either way, I was excited to try these products. I decided to use all the products in one look to show in this post. 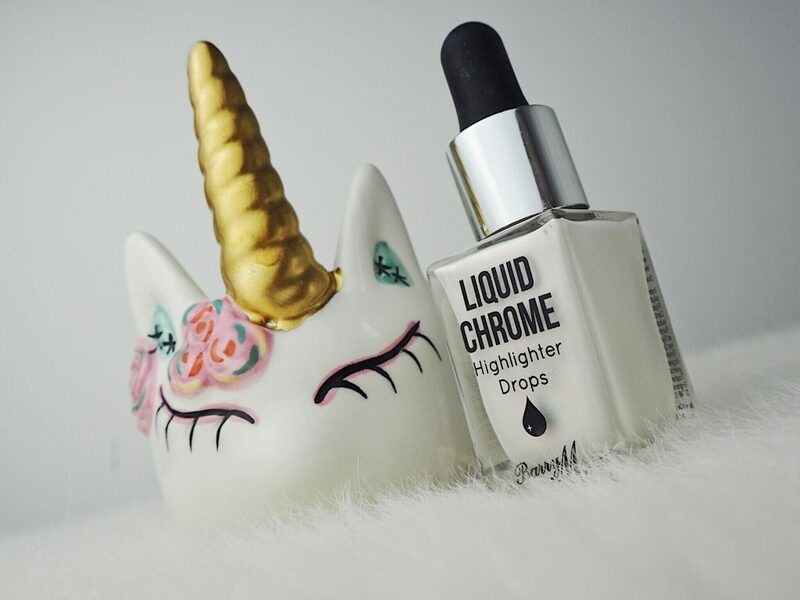 I started with the Liquid Chrome Highlighter Drops, they retail at £6.99 and the shade I went for, Precious Pearl, is a glowy soft white solution with a pinky tinge to it. I am personally very pale so need the super light shades as otherwise they just tend to look a bit silly on me. I applied my concealer and foundation as normal then dabbed some of the solution on my cheekbones, down the centre of my nose and all over my eyelids as I thought it’d be a lovely base. Applying my powder over the top of it, I couldn’t believe how beautiful the glow it gave off was! As I use such a thick powder I was worried it would completely dampen it down and deem the application a bit useless but (with the risk of sounding a little vain) my skin looked pretty damn radiant. I then applied a pink eyeshadow and the base of the highlighter drops I put on made it look so iridescent and pretty. I am thoroughly impressed by this product and am pretty excited to start using it in more ways too! I applied some Too Faced Glitter Glue as I wanted the glitter dust to stay on as long as possible. 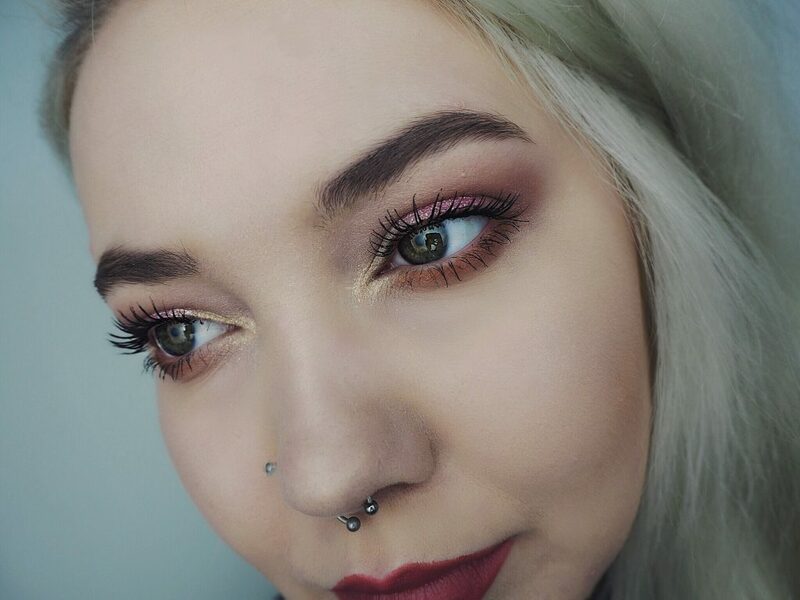 I used the Gold Iridescent shade on the inner corners of my eyes and then had it fade into the Pink on the centre of my lids. 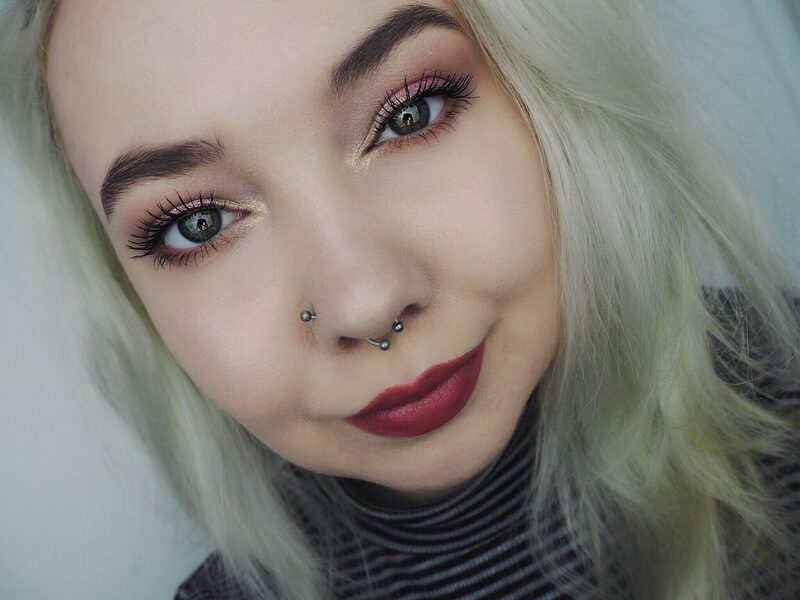 They both stuck very well and gave quite an intense glittery pop to my simple pink shadow with minimal effort. They looked really brilliant and shimmery but did tend to wear off slightly throughout the day which is the same with all glitter products really. At the price of £4.59 for a pot that’s going to last you a long while, you can’t really go far wrong. Honestly, I would highly recommend every single one of these products. I am so pleasantly surprised by their quality and will definitely be trying more Barry M products as soon as possible. I really want to try putting some of the highlighter drops into my foundation to see just how dewy, healthy and lovely it’d make my skin look! I’m also on the hunt for a good priced glitter glue that isn’t too heavy or tacky so if anyone has any recommendations please let me know! What’s your favourite Barry M find? Bristol Harbour Hotel & Spa Bloggers Event! Mini’s Of The Month: March! "Mini’s Of The Month: January!" "Rise, Sparkle & Shine, Pamper Time With Bomb Cosmetics!" I’ve always thought barry m was a teen girl brand but I’m leaning towards them more and more at the moment! Oh I’ve not heard of Barry M before. I may have took a look into their products. I haven’t used Barry M for yeeeears!!! And cannot believe you’ve never used anything from them! Their glitter shadows and nail varnishes were always the one! Will deffo have to give them a go again! Great post ? I haven’t tried any of Barry M’s products but I would love to try them sometime. I don’t know why but I thought they would’ve been more expensive. The highlighter drop sounds brilliant, I’ll definitely keep an eye out for it. I seriously love Barry M, their stuff has got so much better the last few years, I’ve used their liquid eyeliner since I started doing my eyeliner!! Bloody love the chrome highlighter drops, I always mix it with my foundation! I’m not familiar with this brand actually but the products in this review sound lovely. I think I’d quite enjoy the highlighter drops ☺️ Btw cute pictures! Looks fab! I love their nail polishes, they are really good, last for ages and don’t chip! 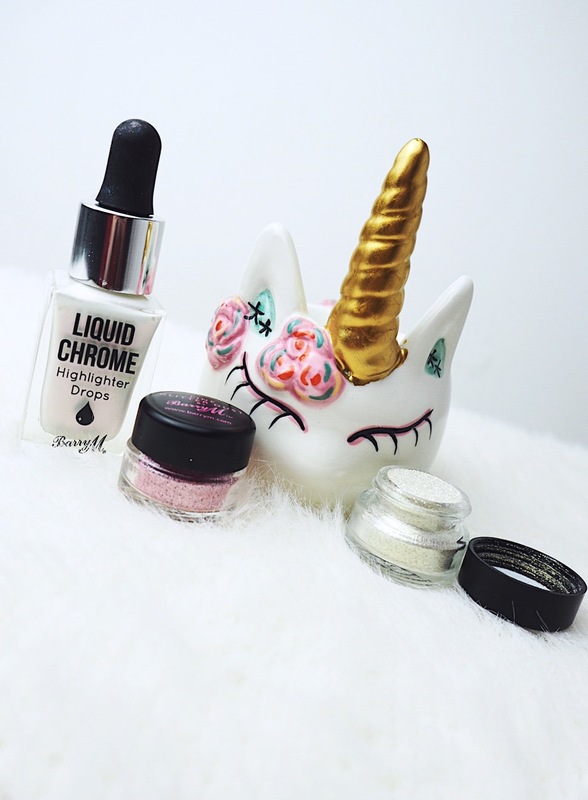 Also, that unicorn prop is ADORABLE! ? I used to be such a Barry M fan! The nail varnishes were such a craze in secondary school. Good picks! I love that pink glitter dust, really suits you! Ahh I love this look! All of the glitz and the glam on here is so beautiful ! I’ve never tried Barry M products! The highlighter drops sound lush and it’s so good to know they actually give a nice glow instead of mixing with the powder and creating some sort of weird muddy look. Firstly you ALWAYS do your make up so beautifully! 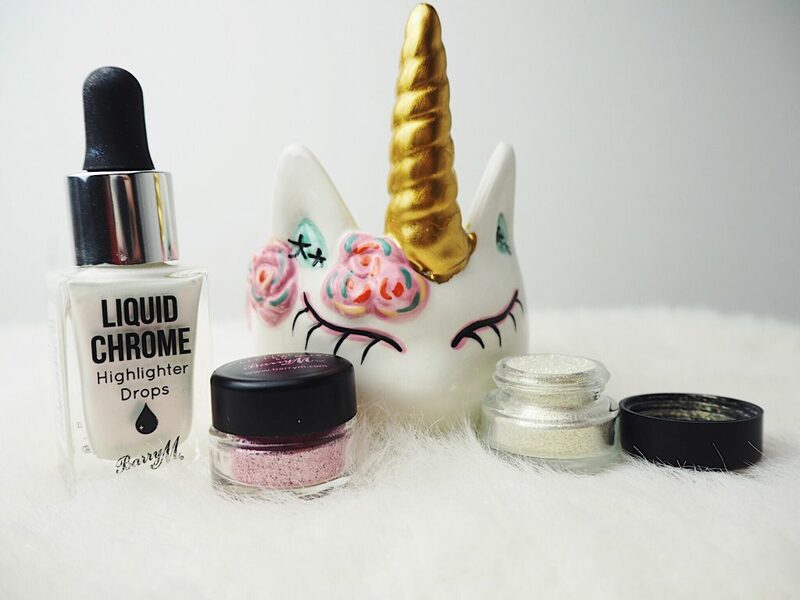 The glitter pots are a huge hit with me ive loved them for years! I really need to try the highlighter drops! Love this! You’ve created a gorgeous look as well, I’ve never tried something like the glitter pots before. They do look interesting and I believe you can be very experiential with them. I haven’t used Barry M products for ages! I used to love them when I was younger though. I might need to get back into this brand. The highlighting drops looks amazing, I want all of the shades.